Thank you for contacting me, it is pleasure to hear from you. 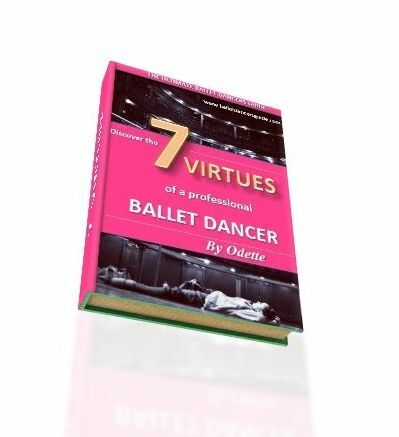 Firstly, the Seven Secrets, on the 'Seven Secrets of Ballet' page will be perfect for you. Treasure these top secrets and listen to them very carefully, as it will make a positively big difference to your whole approach to ballet. I see that you are feeling worried of rejection and it is totally normal to feel like this. I also got worried of disappointment and feared rejection, so I understand how you feel. Yet with each disappointment, it made me much stronger and I realized it happened for the right reasons. You will learn to see that as a dancer, rejection will turn into something which you can overcome and you will become very strong-minded. Imagine if we always got everything we wanted?? There would be no determination or will in us to keep persisting and keep achieving. Please try not to worry too much, you have to look at the positive side of both outcomes - if you get in that is great news! And if you don't get in, do not think of it as just rejection but simply it is not right for you at this moment in time. If you were up against 16 or 17 year olds, then maybe you will have to wait until you are slightly older to audition again. There are many more great opportunities, maybe better, out there for you and you have to always remember this - whatever the letdown or disappointment, there is always more... always something else! Do not forget, my Seven Secrets can also prepare you emotionally, so you will be able to overcome rejection. Keep positive Catriona and remember all the other great things you have achieved so far!